Could this be Malaysia’s man for F1? He ran Jack Harvey close for the British Formula 3 title this year – so close that the young Englishman had to sweat it out until the last lap of the final race. 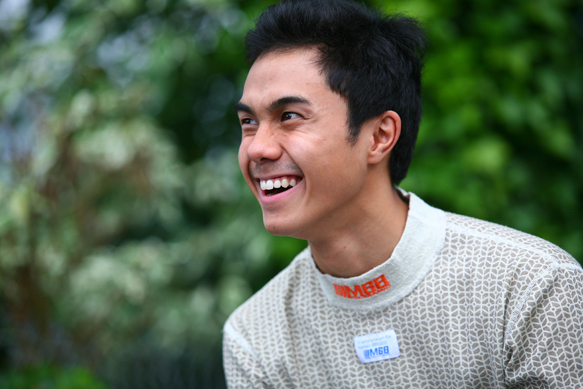 Yet, despite his three seasons in BF3, not too much is known about Jazeman Jaafar on UK shores. The perception is sometimes, unfairly, of a Malaysian simply being bankrolled by state oil company Petronas. But the reality is that he has to perform to keep that backing, in the same way as any Red Bull junior has to – in fact, his first exposure to Petronas resulted in a stinging rejection from its scholarship scheme. But he’s bounced back, worked hard, and his performances this year, his third with top team Carlin, have been high-quality. Those perceptions are perhaps in some way down to the fact that he’s not the paddock’s most garrulous individual. Yes, he’s courteous, but his intense way of focusing on his job means he doesn’t belong to any of the paddock’s cliques, like the Brits or the Latins, who like to share a joke together when they’re not in the cockpit. As a result it can be hard to dig beneath his surface. But find Jaafar off-duty, and his courtesy morphs to an easy charm. He’s becoming increasingly secure of his place and respect within a sport he loves, and celebrates his 20th birthday this weekend in the happy knowledge that he enter next week’s Macau Grand Prix as a dark horse on his switch to Japan’s famed TOM’S team. It’s his fifth visit to the Asian streets (two trips in F3 so far; two in Formula BMW) – now could be his time. It’s the latest step in a logical career path, the sort of structured programme that perhaps eluded countrymen Alex Yoong and Fairuz Fauzy as they headed to their own faltering steps in Formula 1. It should mean that, if he reaches the pinnacle of the sport, ‘Jaz’ is well prepared to make the most of it. Unlike Yoong and Fauzy, there was no family involvement in the sport for the Jaafar clan. It was something he chose because he was obsessed with it. “I always had a passion for cars as a kid,” he says. “My dad and older brother were into bikes – Harley-Davidsons, just like The Wild One! This journey encompassed an early end to his karting career. Jaafar switched to the Asian Formula Renault series for 2006 and scored four podium finishes – at the age of 13! “The level of go-karting in Asia was still developing at that time,” he explains, “and we were looking for options to come to Europe. I did a bit in Belgium and France, but I couldn’t afford to miss school and travel to Europe all the time – it’s too expensive and I still needed to finish my studies. “I knew Jack [Harvey] from karting and a few other competitors, but the main difference is that they lived near their teams, so they could gel and bond with them. The difference I had was I had to fly from Malaysia on a Tuesday, arrive on a Wednesday with jetlag so I’d be sleeping, then Thursday you’re already going to the track. At the ripe old age of 14, he then switched to Formula BMW and won the Asian title driving for the Meritus team of colourful Irishman Peter Thompson. 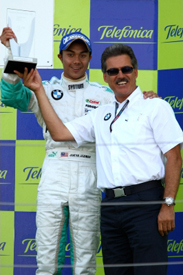 “Petronas had a racing school in Malaysia called the Petronas Formula Experience,” says Jaafar. “It was like a Red Bull shootout: 24 drivers cut down to the final three, who would be put in the race cars run by Holzer Rennsport. But I wasn’t selected. I was quite upset. Critically, Jaafar had moved to London for his second season in FBMW Europe – his sister had graduated from university and was working in the capital, and took over the role as her little brother’s legal guardian. 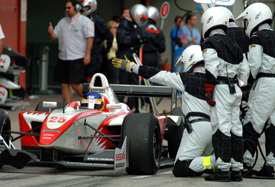 Just as important, the family had formalised a deal with French former F3 star Bruce Jouanny, who since then has acted as Jaz’s driver coach and taken care of his racing matters in Europe. Jaafar’s story of his first dealing with Jouanny betrays an endearing ‘anorak’ tendency from a Kuala Lumpur kid. “I met Bruce when I was 12,” he says. “When I was karting I popped up to one of the Formula BMW races. Bruce was good friends with Peter Thompson; he was coaching his young drivers. We got along really well. 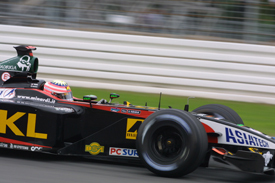 Jouanny, who raced with Carlin in World Series by Nissan in 2003, played a key role in Jaafar joining the team for 2010. “The one thing I envy about European drivers is that they always have the links with the big teams,” says Jaafar. “Although I had a backer, we still didn’t have the contacts to open doors. It was really tough. “I’m glad I met Bruce, because he guided me and my dad a lot. Trevor’s a great guy; when I did Formula Renault at 13, he saw the news on the internet and he was shocked. Bruce helped me go there after Jack Cunningham, the A1 Team Malaysia stakeholder, helped introduce me to Trevor. Jaafar mothballed his studies in graphic design when he graduated to F3. In 2011 he made progress so that he finished sixth in his second season. That wasn’t enough to move on, and Petronas suggested a third year. It’s important to remember that, having missed out almost totally on all those years of European karting enjoyed by his peers, Jaz is making up for lost time. Going into 2012 there was still depth to his learning curve, and he knew what he needed to address to make the jump to title contender. He did, making some superb manoeuvres on opening laps as others tentatively probed for openings while being careful not to risk too much. The approach gained him a lot of points, but also resulted in the final-round collision at Donington with Alex Lynn that dealt him a hammerblow in the title fight. But it’s not this incident he looks back on with regret. Interestingly, despite the culture differences between Malaysia and other Asian countries, Jaafar identifies with those other old Carlin favourite sons – Japan’s Takuma Sato and India’s Narain Karthikeyan. He also ascribes much of his progress to Carlin engineer Jimmy Goodwin, who has worked on his Dallara-Volkswagen for each of these past three seasons. “He’s had a bit of experience with Asian drivers in the past, starting from Shinya Hosokawa [in 2002], so he knows how to get the best out of us,” he says. But there’s going to be a (perhaps temporary) severing of the apron strings for Macau as Jaz lines up with TOM’S, winner of the race five times in the past. The Toyota engine is always strong on the long straights, and the team’s Yuichi Nakayama – who will drive the sister car in Macau – is coming off the back of five successive end-of-season victories in Japan. 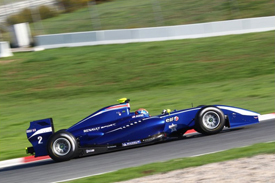 In the meantime, Jaafar also did a tidy job on his maiden Formula Renault 3.5 Series test with Carlin at Barcelona. 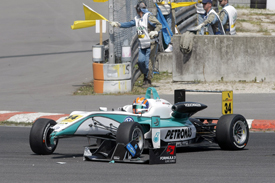 Although there has been talk of sampling GP2, it looks more likely that he will be placed in FR3.5 by Petronas for 2013. And if that’s the case, don’t bet against him getting a Carlin seat. Another step on the road to F1? Well… it’s possible, but Jaafar knows it’s going to take more backing from his homeland to clear that hurdle. Yes, there is a small link to Mercedes via Petronas, but to date it hasn’t gone much further than attending a few grands prix and affording good PR back home. 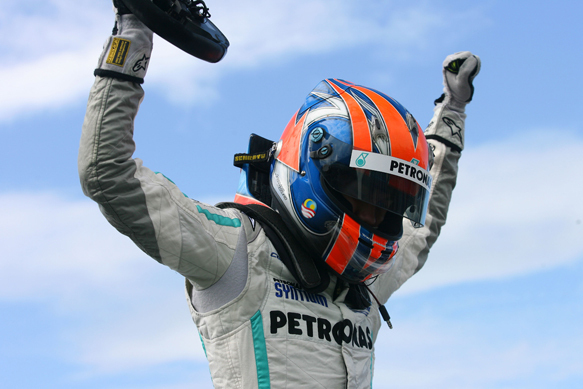 “The support of Petronas has been incredible,” he says. “Without them I wouldn’t be racing in Europe. If I hadn’t won the championship in BMW Asia I’d probably be a graphic designer now! “A few years ago you’d never have imagined drivers from Mexico or Venezuela getting to F1. I think it’s an incredible investment – they put the backing into Sergio Perez and now he’s in a McLaren, putting Mexico on the world sporting map. “But I still lack support from my country – Petronas are great but we need other consortiums to support young drivers. Malaysia still lacks a bit of understanding of the sport. Here, then, is a driver who will be well prepared for the final step – if his country has the capacity to put him there.